Thank you for your interest in our 2019 Riding Programs! 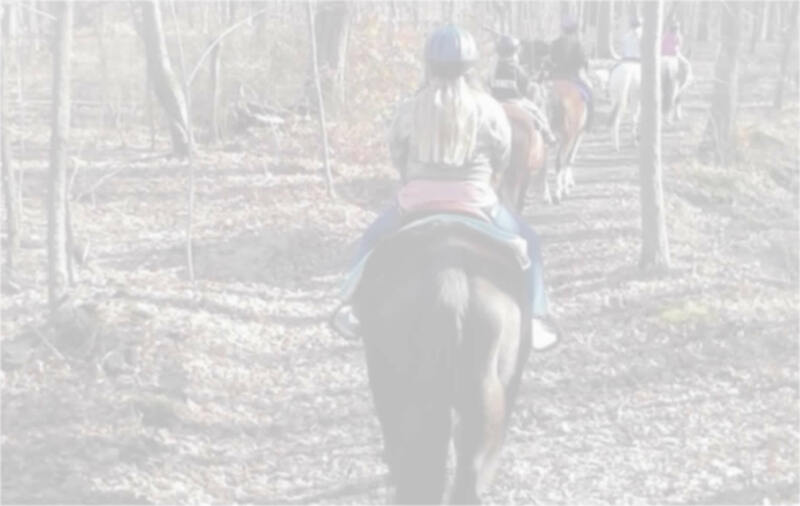 In The Woods provides affordable horseback lessons and riding programs (beginners thru intermediate) on gentle, well socialized, aged horses. We offer and encourage both Western and English riding. We have beautiful indoor and outdoor arenas, as well as trails. We are proud to be an official Community Partner with the Girl Scouts of Northeast Ohio Inc. as well as a certified merit badge counselor for the Boy Scouts of America. Additionally we offer badge programs and field trips for organizational groups and family outtings. We are located 4.2 miles from Hiram College and just 1 hour or less from most of Cuyahoga, Medina, Portage, or Summit counties. There is a list of links with local activities and dining available on site. For your comfort and safety appropriate dress is required for all programs. Dress for current weather conditions. Closed toe shoes and long pants are required. Helmets will be provided and are mandatory for all riders under the age of 18, however, all riders are encouraged to wear helmets. All of our programs provide side walkers for those that request one. However, ALL riders under the age of (8) are required to have a side walker & are assigned one automatically. All programs require a reservation with a nonrefundable deposit. As always we invite your group participating in any program to enjoy our grounds for your own planned activity or picnic. Please call or e-mail us if you require additional information.